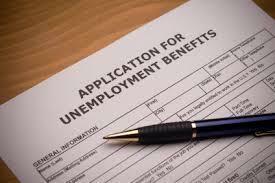 The latest data shows the number of unemployed Illinois residents is at its lowest since September of 2007. But officials with Governor Bruce Rauner's administration say Illinois is still lagging when it comes to job growth. Illinois Department of Employment Security spokesman Bob Gough says the state has nearly 40 thousand fewer jobs than peak employment, in pre-recession fall 2011. "When you look at the dichotomy we have in Illinois, the Chicago metro, say, is doing better than downstate Illinois. But even that growth is anemic when you compare it to other major metros," Gough said Thursday. Illinois' unemployment rate last month was 5.5 percent, the same as it was in August. Nationally, unemployment is at 5 percent. Gough says a loss of middle class, manufacturing jobs is a key concern. Gov. Rauner continues to say his agenda will grow Illinois' economy and create jobs, by reducing businesses' workers' compensation costs. He also wants to retool the civil justice system in a way that would advantage business. The Republican's efforts, however, have met fierce backlash from unions, Democrats and trial attorneys, who say that Rauner's plans will instead harm middle-class workers. Copyright 2016 WUIS-FM. To see more, visit WUIS-FM.